Baja California is one of the most unique ecosystems on the planet, a 1,000-mile runway of harsh desert splitting the Pacific Ocean and the Sea of Cortez. Its geographical isolation from the rest of Mexico has historically left the Baja peninsula to define itself — all borders aside — as a southern extension of the Golden State, which was originally Mexican territory to begin with. 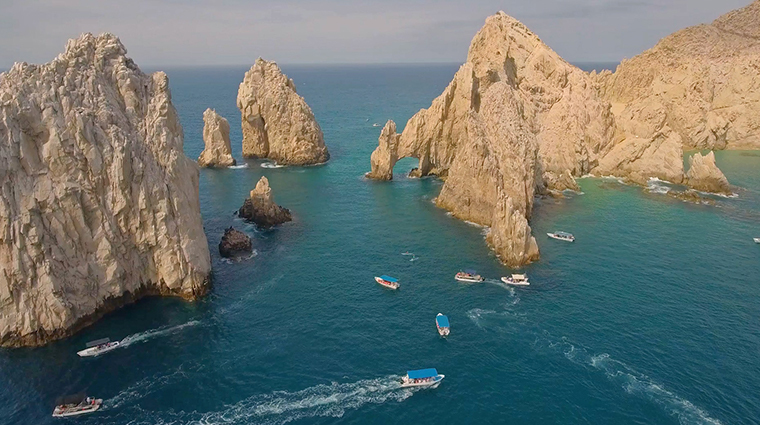 At its southernmost tip are Los Cabos (literally, "the capes"), two towns with drastically distinct personalities that happen to be separated by 30 or so miles of some of the most dramatic coastline in North America. A pair of siblings that really have little to do with each other (and prefer to keep it that way), Cabo San Lucas busies itself with surf, golf, sportfishing and parties while San Jose del Cabo flaunts a more laid-back gathering of farm-to-table eateries, organic markets and a thriving grid of independent art galleries.